Available in 1.75 lb. and single serve sizes. With Single Serve Frappe Supreme mixes there's no messy scooping or measuring of powders. Simply add the contents of one packet to your blender with ice and milk or water, blend and enjoy! 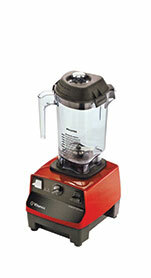 Frappe Supreme Frappe Mixes work perfectly in home or commercial blenders. Gourmet coffee and non coffee flavors! Caramel Macchiato, Coffee Ice Cream, Pina Colada, Orange Cream, French Vanilla Smoothie Base and Many More! Contact us or visit cappuccinosupreme.com to buy Frappe by the box. Enjoy refreshing, easy to make affordable frozen drinks in your blender. 10 x 16 oz. servings per 1.75 lb. bag. Simply add frappe mix to your blender with ice and milk or water, blend and enjoy! Frappe Supreme Frappe Mixes work perfectly in home or commercial blenders. Gourmet coffee and non coffee flavors! Banana Split, Caramel Macchiato, Smoothie Base, Almond Butter Fudge and many more. We're adding new flavors all of the time! Contact us or visit cappuccinosupreme.com to buy Frappe by the bag.